Wonderful home with 5 bedrooms 5 bathrooms and a half bathroom. This luxury vacation home comes with heated pool and furnished. No expense has been spared to make this home an example of a vacation home. 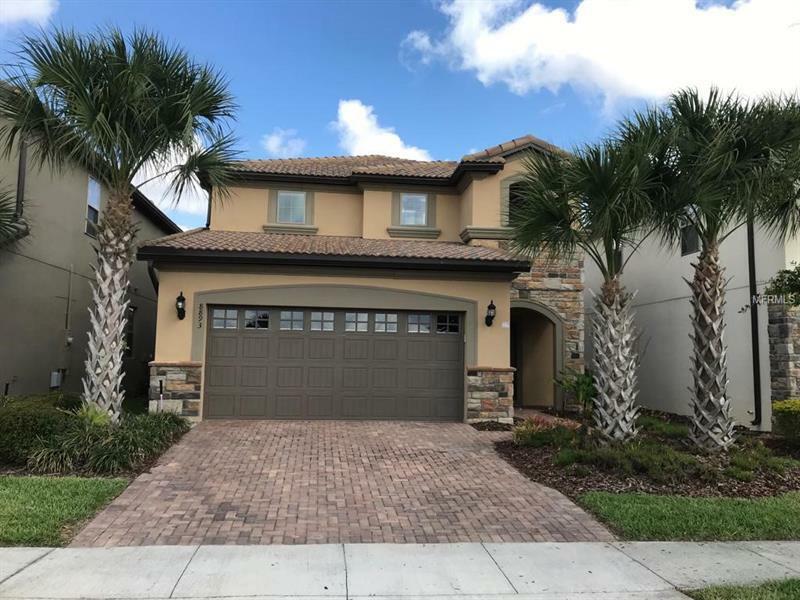 Granite countertops in kitchen and master bathrooms, Maple wood cabinets and 18 "tile throughout the first floor - this home is ideal for a luxury vacation home or rental investment property. Windsor is one of the most popular rental locations near Disney Orlando. A first class pool and club house with a Tiki Bar & Grill, pool / spa, games room and internet, basketball court, tennis court, fitness center and sauna, market, snack bar and much more. The condo fee includes irrigation water, internet and cable TV, telephone, garbage collection from your house, exterior painting and roof maintenance and resort staff. The Windsor is located for short term rentals and has a gate with security 24 hours a day. Clean stainless steel, furniture and electronics included in the asking price .. Just minutes from Disney! This is a fantastic vacation home in one of Orlando's most popular Resorts, do not miss this great opportunity!